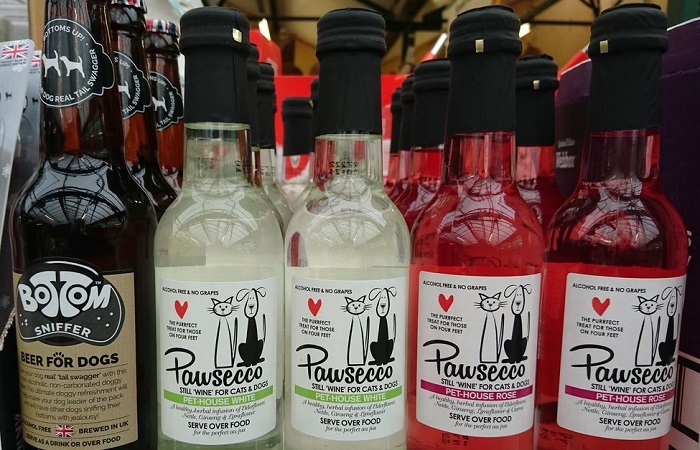 After ice-cream and sweets for dogs and cats, now beer and wine have also been adapted for our four-legged friends. This is a non-alcoholic drink because it is made from an infusion of herbs mixed with nutrients and vitamins. The bottles are the same shape and form as beer and wine, so that the animals can drink like their own owners. This was an idea by a British company based in Cambridgeshire. The non-alcoholic beer includes the famous British drink Dandelion and Burdock, to please the palette. The prosecco is aimed at cats. It is similar to wine and in fact it comes both as white wine and rose’, and needs to be drunk cold so that the cats can cool off. Who knows how successful these fresh summer drink are going to be for pets, who can now go out for a refreshing summer drink just like their owners!